Dana has worked at GRSM since 2008. 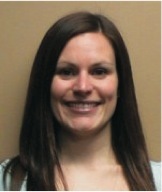 Prior to joining GRSM, Dana worked in Physiotherapy clinics in Ancaster and Hamilton. She also worked at St. Joseph’s Hospital in Hamilton with patients in-hospital after orthopedic surgery, including trauma and joint replacements. She graduated from the School of Rehabilitation Science at McMaster University in 2005. Her previous education includes an Honours Bachelor of Kinesiology and a Minor in Anthropology, from McMaster in 2003. Dana has continued her education throughout her career. She has completed Level III in manual therapy through the Canadian Physiotherapy Association Orthopedic Division, Level I Sahrmann and courses with Dianne Lee. Most notably, Dana completed the Intensive Mat course through Stott Pilates in 2006 and has since incorporated Clinical Pilates into her physio practice. She has previously taught Pilates classes in Hamilton and at GRSM and now sees clients one-on-one to use the principles of Pilates to help people achieve their physio goals. Dana’s main areas of interest are the female athlete and the pediatric population. In addition to sports injuries, she is experienced in post-operative rehabilitation, pre and post-partum physiotherapy and concussion management.